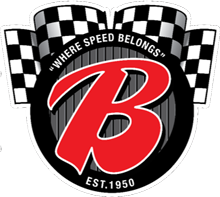 JQ99.3 and Winning at Home are partnering up to bring you Backpacks for Barnabas Ministries, August 18, at Berlin Raceway’s Kids Night. Come on out for a fun night of inflatables and kids games prior to the races with kids 11 and under getting in free! PLUS, this is your chance to teach your kids how to pay if forward by bringing a new or gently used backpack to donate to Barnabas Ministries to help At Risk and homeless youth prepare to go back to school! Each backpack gets you registered to win a Rock Star back to school prize pack including a limo ride to school the first day for one lucky kid and their friends from Affordable Limousine in Grand Rapids, a class pizza party delivered by Tommy and Brook from Village Inn Pizza in Grand Rapids and Holland, and a fun back to school bash at Skyzone for a set number of kids! Kids 11 and under get in FREE! Bring backpacks to win! Make it the Best Day Ever with Berlin Raceway, Winning at Home and JQ99.3!